Tasks are simple activities, small in scope, with low uncertainty and little need for coordination. 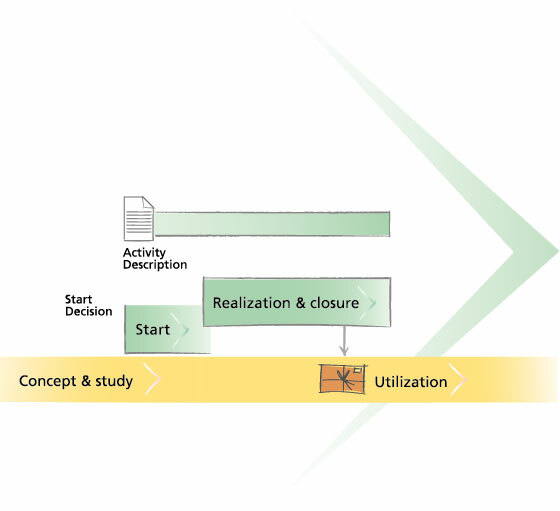 The method of working is inspired by the project format but it is more informal than those of projects and assignments. Often one person alone carries out much of the work. Gate decisions are not required.